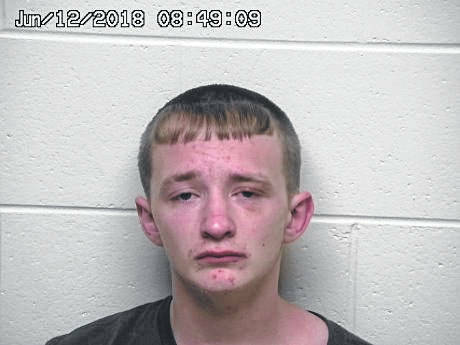 An 18-year-old Columbus man appeared in Portsmouth Municipal Court Tuesday, charged with one count of aggravated burglary in connection with the theft of a side by side utility vehicle in McDermott. Scioto County Sheriff Marty V. Donini says the 911 center received a call Saturday from a McDermott resident reporting that someone had entered the attached garage while they were sleeping and stole a Honda Pioneer side by side. Deputies responded to the location where a report was taken and several witnesses were interviewed. The report was forwarded to a detective for a follow-up investigation. Capt. John W. Murphy said detectives were able to obtain information that the stolen side by side was in a wooded area off of Perry Road in Otway. On Monday, detectives were able to locate the stolen vehicle valued at $19,500 with the assistance from the Ohio State Highway Patrol. During the investigation, detectives received information that the suspects had been staying at a trailer located on state Route 73. Detectives searched the residence where one of the suspects was located, and detained for questioning. During the search, drugs and money were confiscated, which will result in more charges being presented to the Scioto County grand jury at a later date. Arrested was Zack Nelson, who has been charged with one count of aggravated burglary, and is being held in the Scioto County jail on a $100,000 bond. Murphy said an investigation is still ongoing. Anyone with information is asked to contact Detective Jodi Conkel at 740-351-1091.